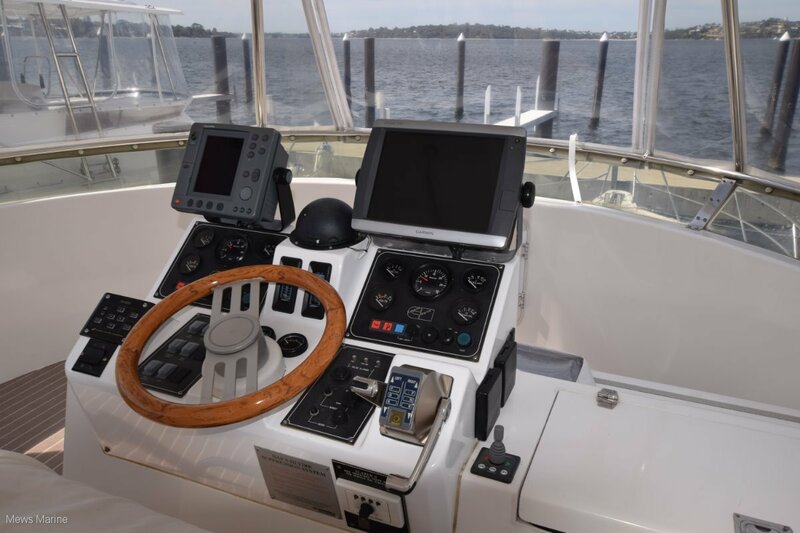 Precision 46 Flybridge Express Cruiser powered by twin 450 hp Cummins Diamond Series diesels giving 18 knots cruise speed and up to appr. 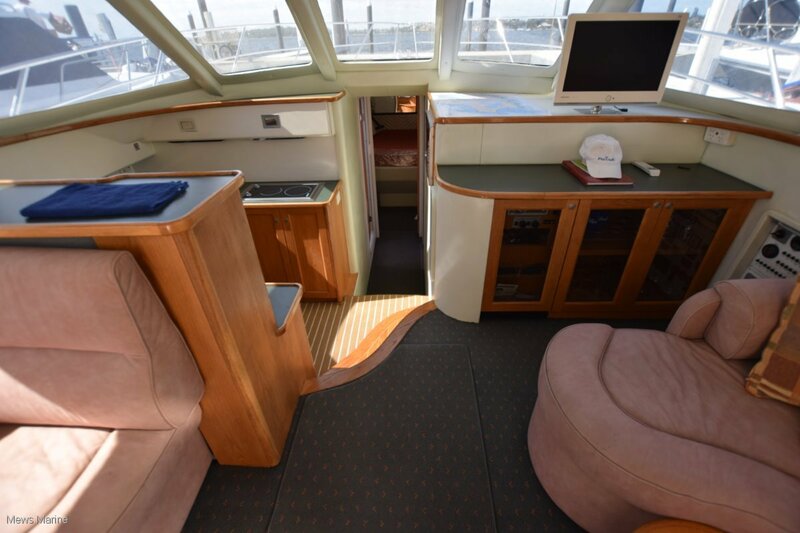 25 knots sprint, 'light ship'. 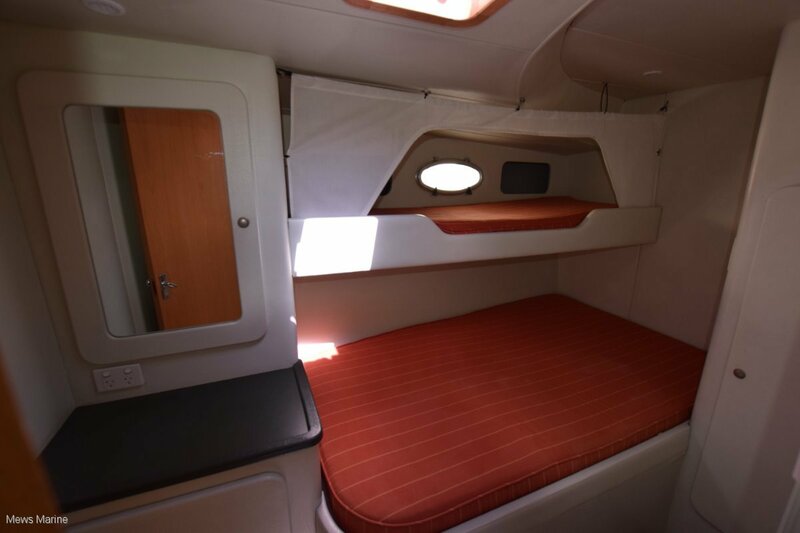 The layout is well designed, practical and ideal for extended stays on board. 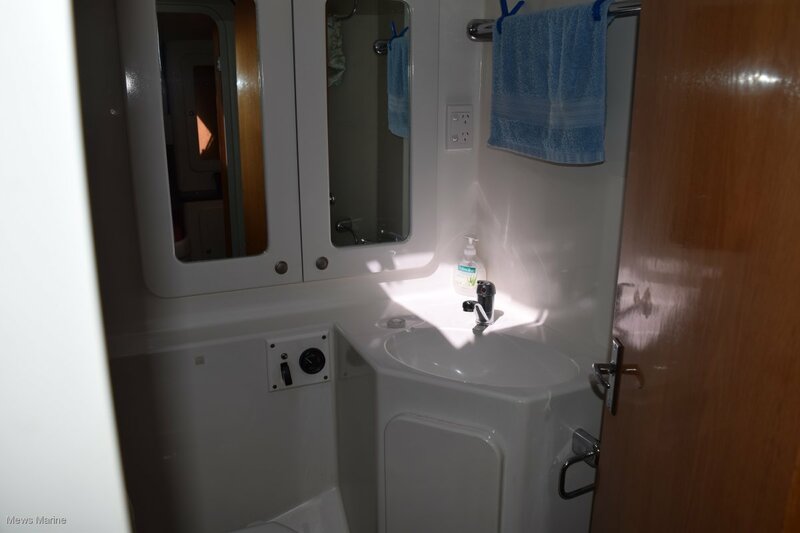 Accommodation is forward with an all electric galley midships and a comfortable spacious saloon with velour lounges, a coffee table and a dinette. 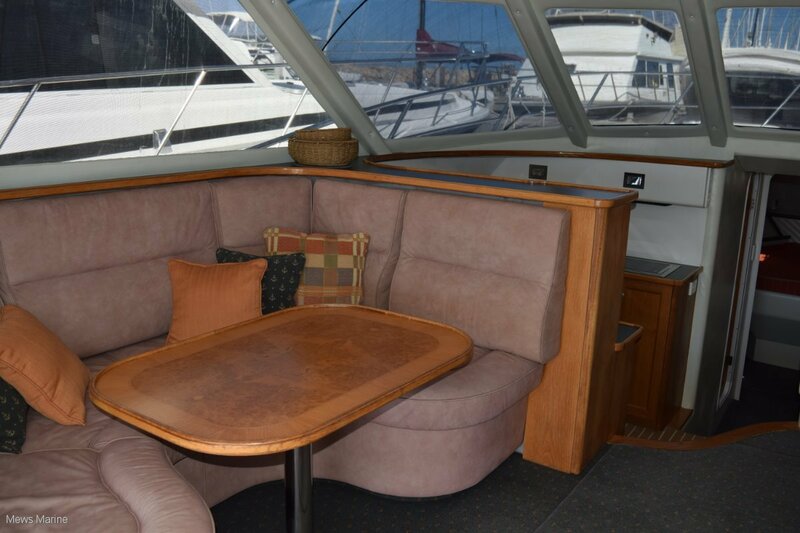 The big aft deck is private, with shaded drop down screens and padded seating. 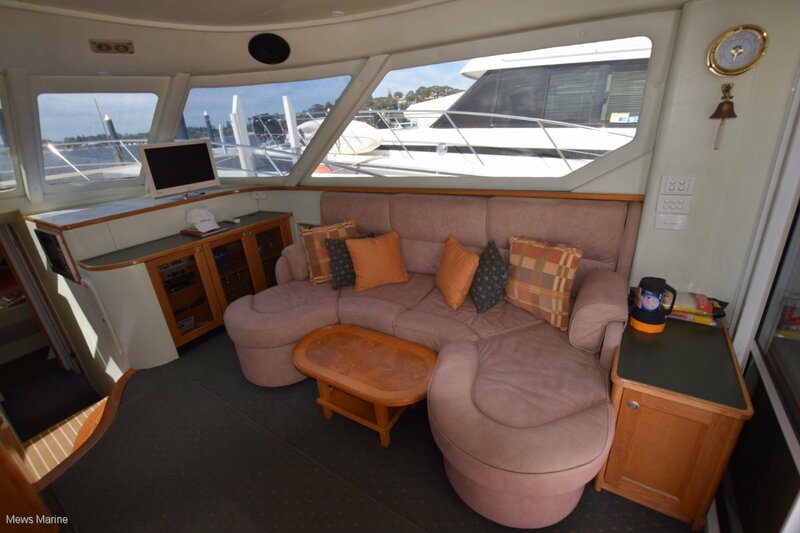 The flybridge has a fibreglass hardtop and plenty of seating for family and friends to sit with the skipper when at sea. The presentation of this quality vessel is a credit to the owner. Engine: Two  Cummins Diamond series diesels [450 horsepower] with hydraulic, 2:1 reduction gearboxes and shaft drive. 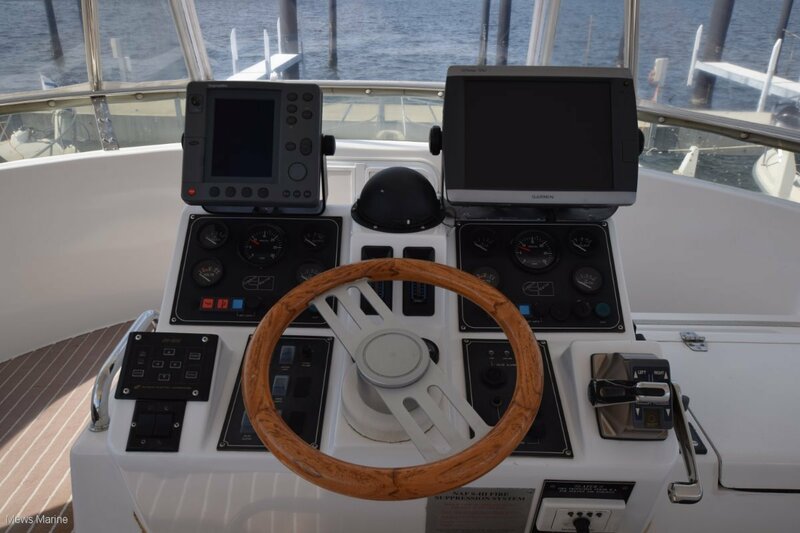 Controls are fingertip electronic [ flybridge]. 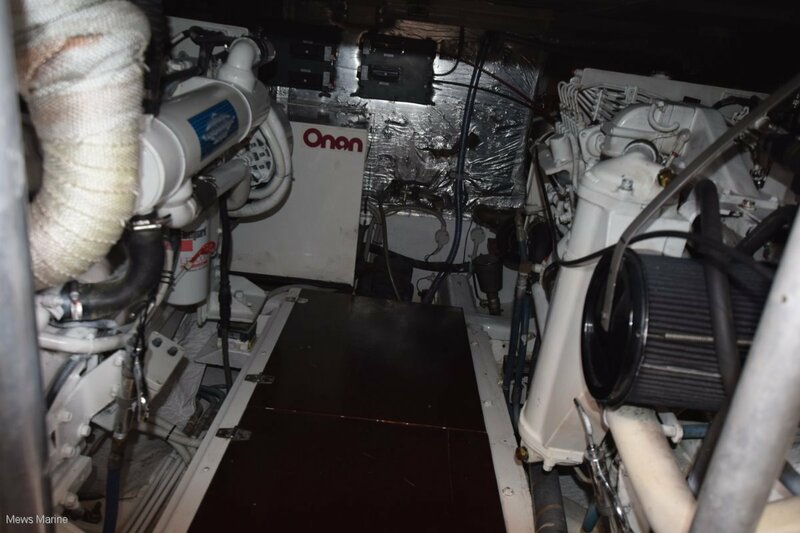 Engine room: Professionally engineered, tidy and well kept. 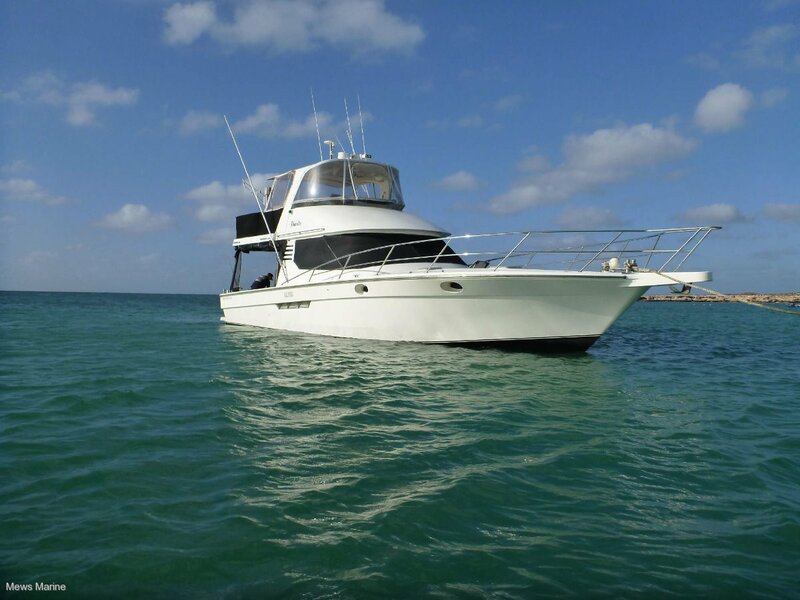 Engine Hours (2nd Engine): 2000 appr. 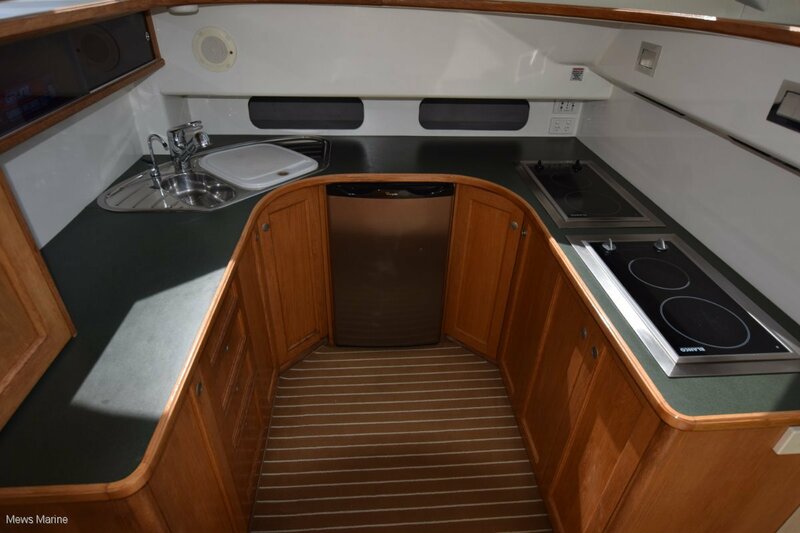 Galley: All electric with a 4 hotplate cooktop, microwave convection oven, fridge and stainless steel sink. Storage for cutlery, crockery and drygoods. 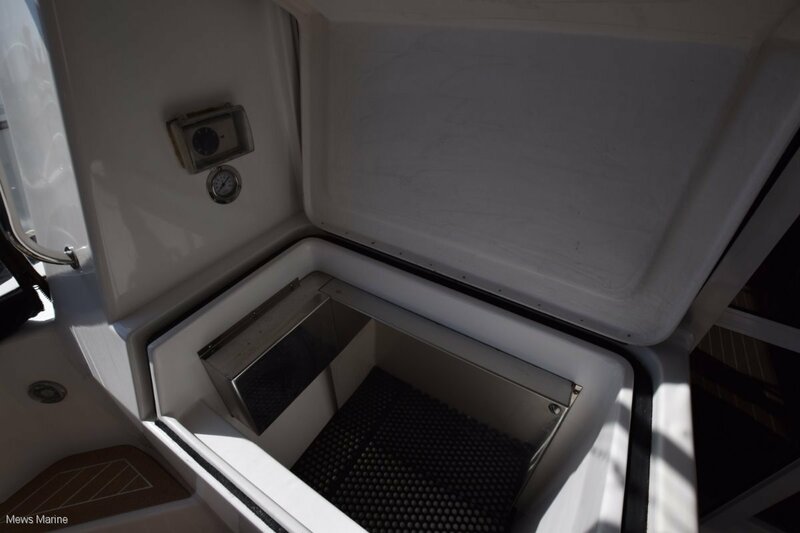 Refrigeration: Refrigerator in the galley and a large utectic fridge/freezer in the cockpit. 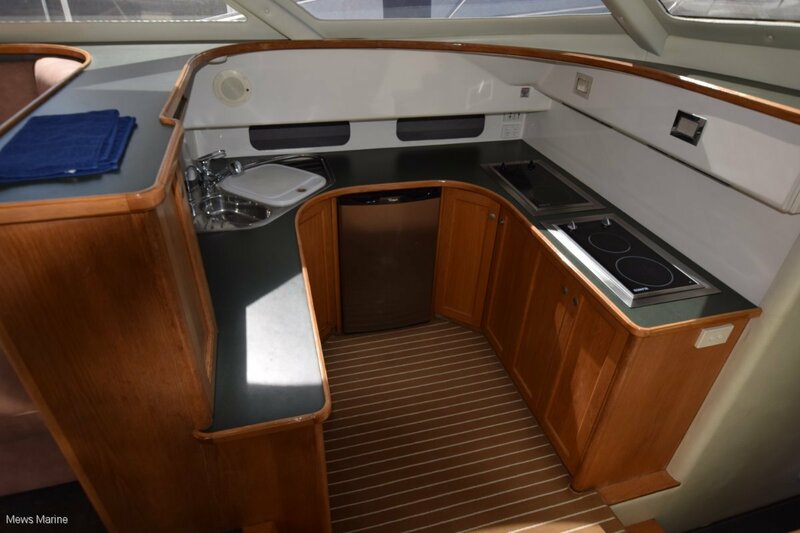 There is also a convenient eutectic fridge on the flybridge to stow the drinks for those sundowners on summer evenings. 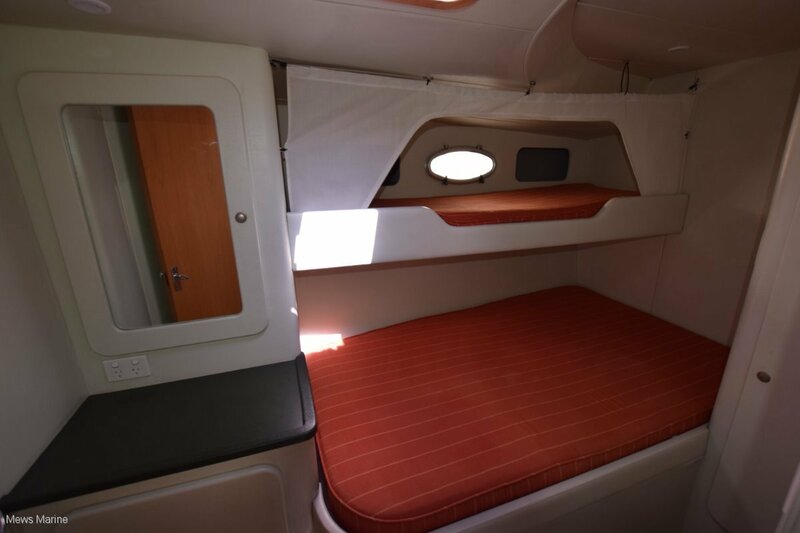 Berths: Two doubles and one single + casual lounge berth in the saloon. Ground Tackle: Heavy duty Bruce anchor with a Muir electric winch. Safety Gear: Pyrotechnics, PFDs, Epirb and fire extinguishers. 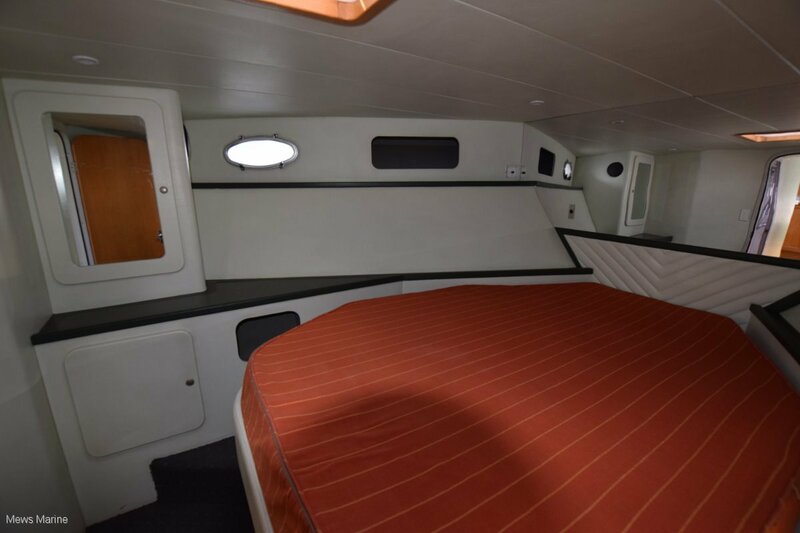 Electrics: 240 volt ship and shore power, heavy duty battery banks, 'Heart Interface' battery monitoring system, automatic battery charger. 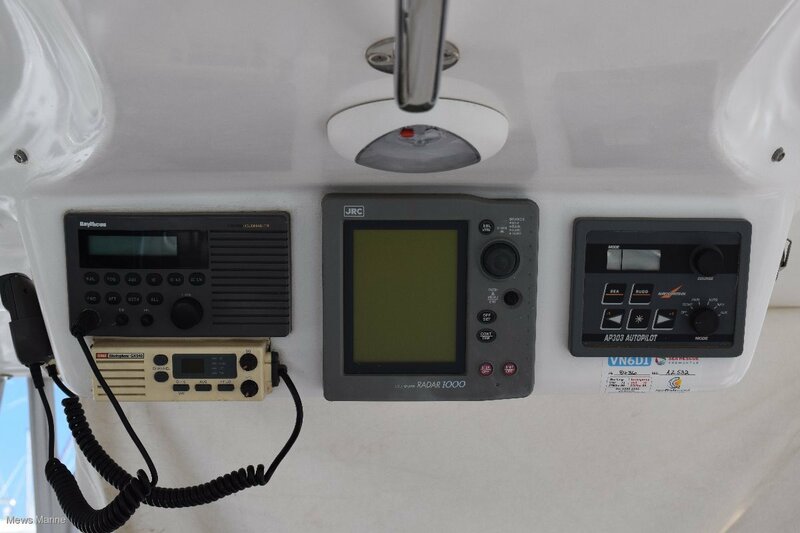 Navigation: JRC radar, Garmin plotter/sounder combination, Navicontrol AP303 automatic pilot, Silva compass, Raytheon vhf, GME 27 mhz marine transceiver and a polished brass ships' clock and barometer. 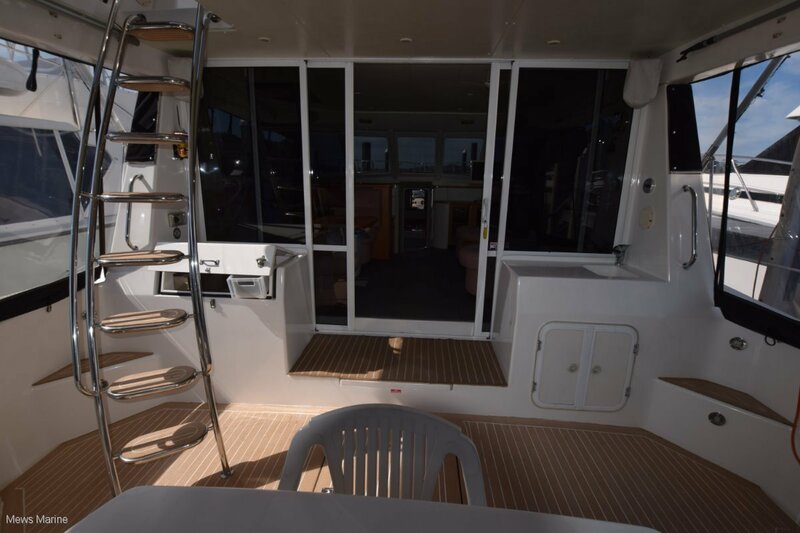 Flat screen television and stereo with internal and external speakers and controls, USB port, ships telephone/intercom with dedicated antenna..
Deck Gear: Electric davit [operates from the flybridge], outriggers, swim board, transom door, swim ladder, cushioned lounge benches in the cockpit with ample storage under. Shaded drop down screens for the cockpit with a hardtop awning over, this has created a very good place to relax out of the wind. 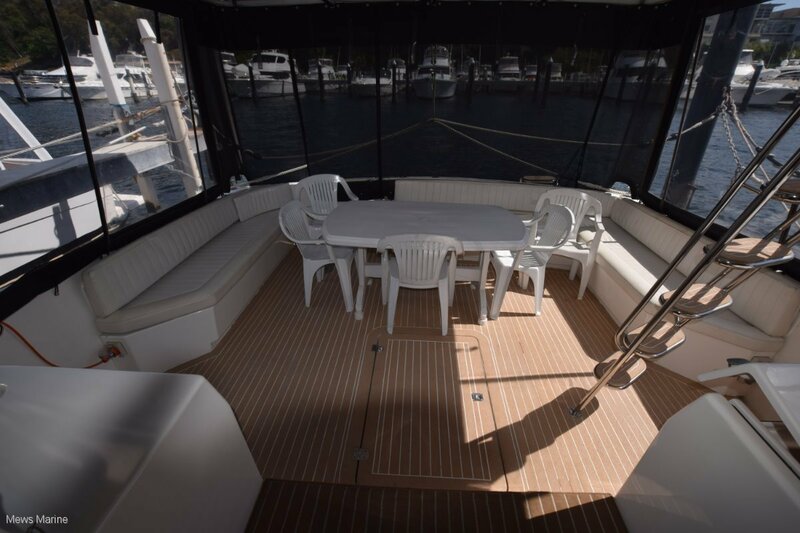 There is a deck wash installed to keep decks clean while at sea. 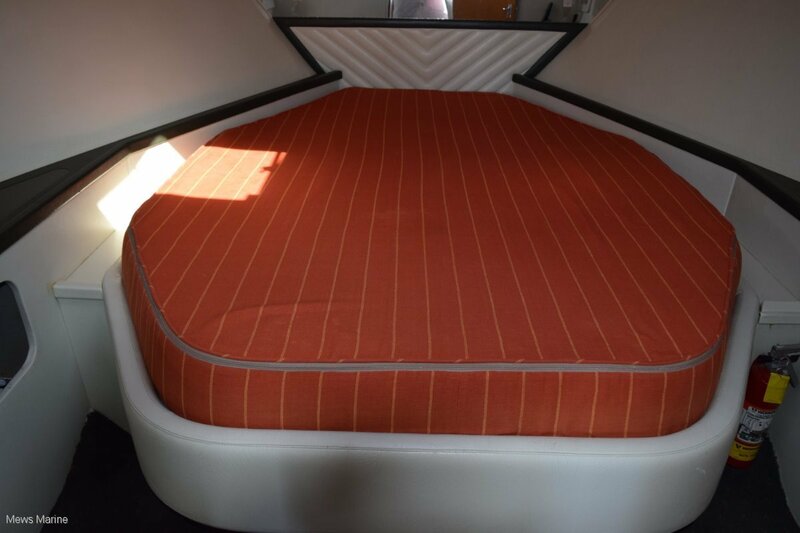 Remarks: This is a very good example of the Precision brand and a well presented boat overall. 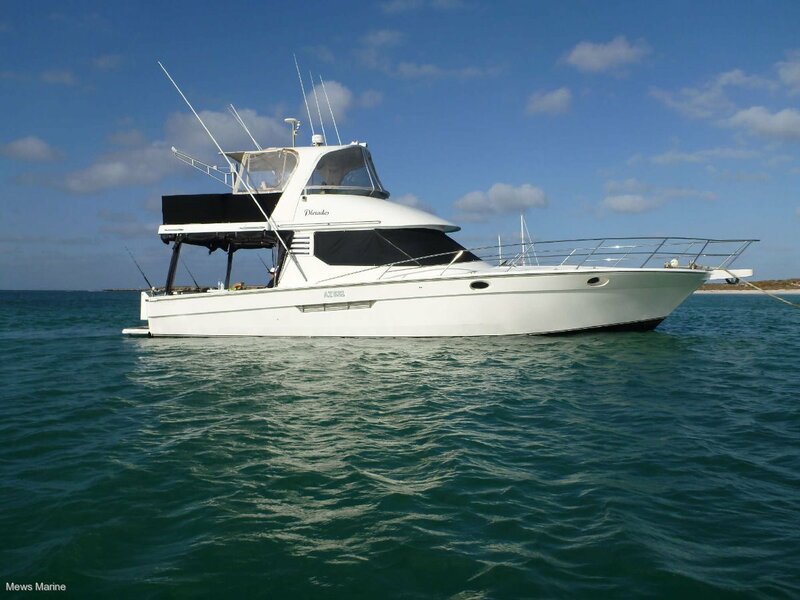 [Launched November 1998] The owner has the engines routinely serviced professionally. 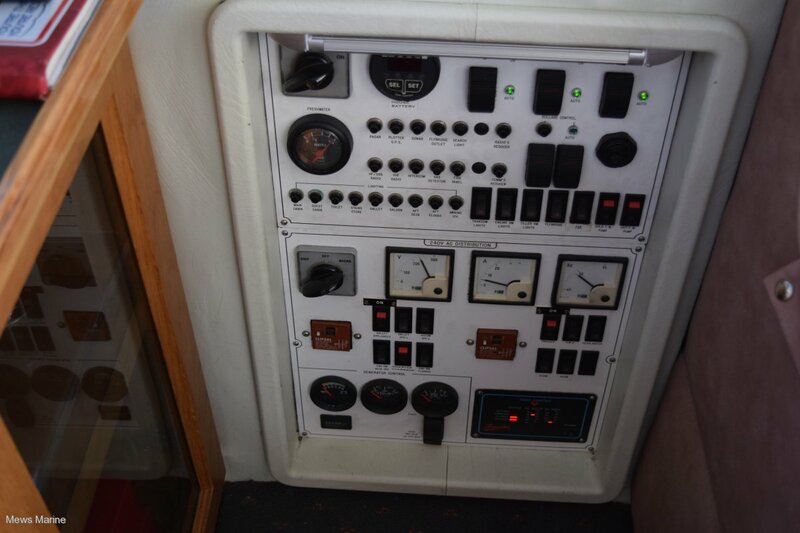 Log books are on board showing a record of maintenance work. 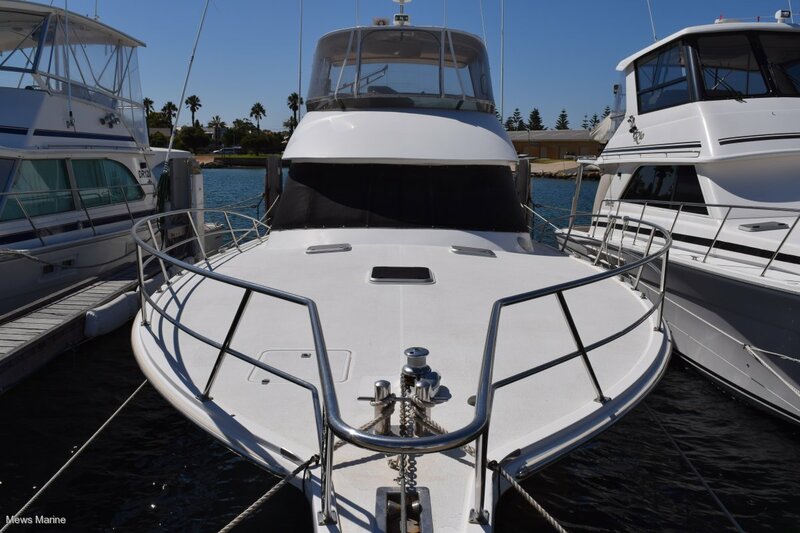 Call Chris Mews 0412 472 329 or Steve Green 0401 656 415 for appointment to view this top boat! 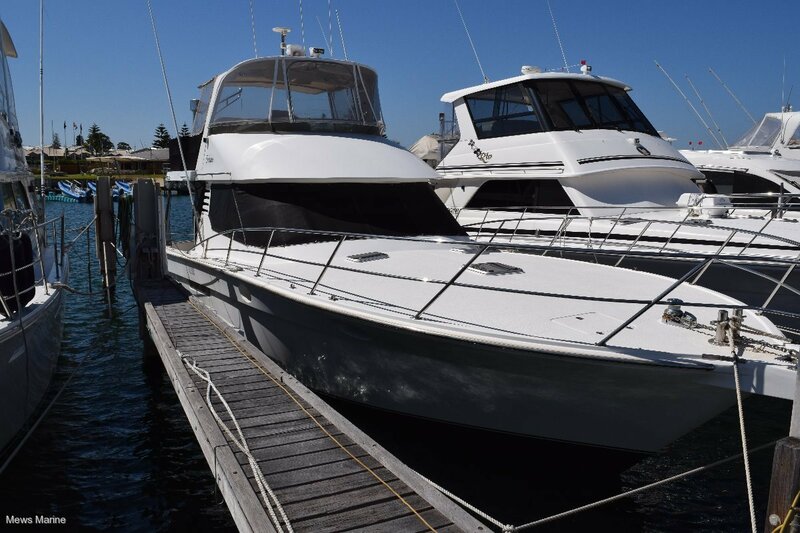 Swan River Club [CYC] pen may be available if required [conditions would apply]. © Copyright 2012. 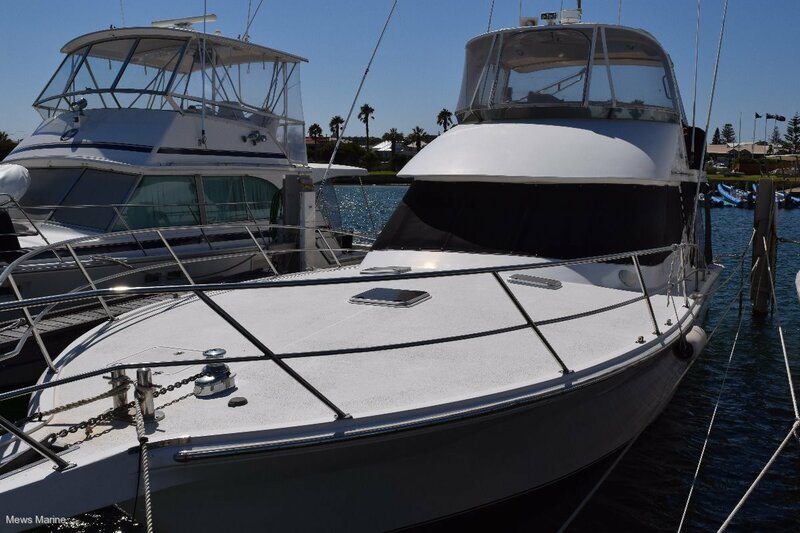 Mews Marine Brokers.